Brando Stylus Ballpoint Pen. 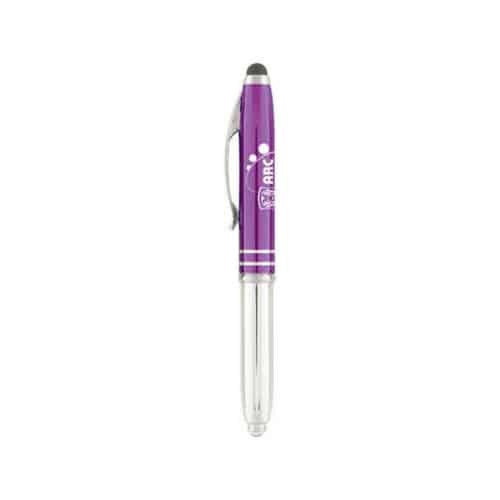 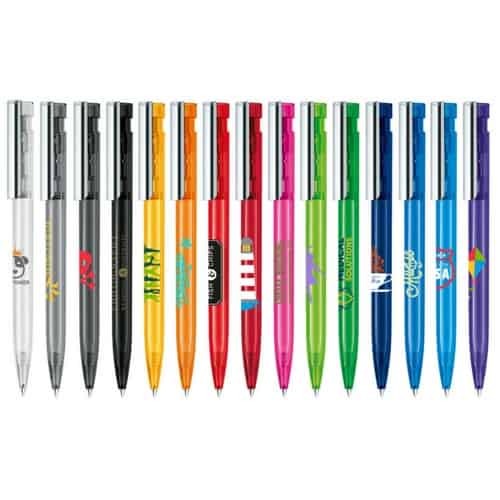 Our best selling multifunction pen. 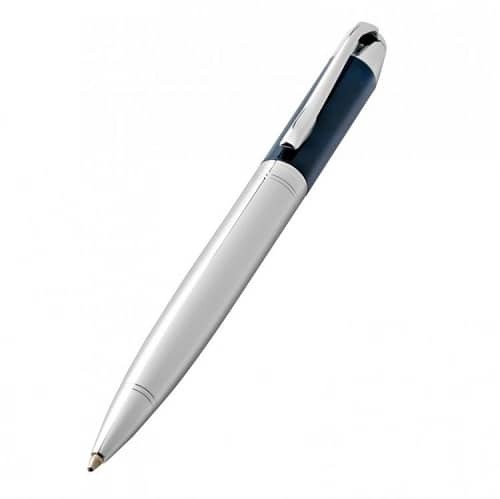 This comes with an LED light and soft stylus, so it can be used to draw on a phone or a tablet screen. 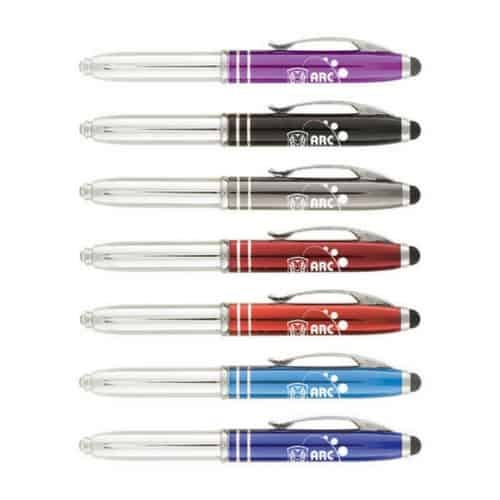 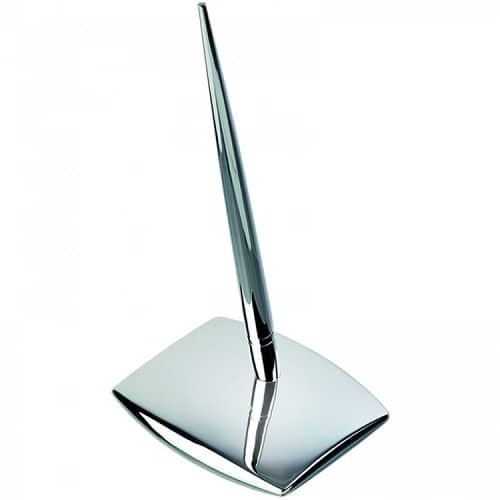 It features a shiny anodised finish and is available in seven colours.